Rumors and spy photos have been leaked from multiple LSGTPA team camps this off season, as several teams prepare for the 2017 pulling season ! 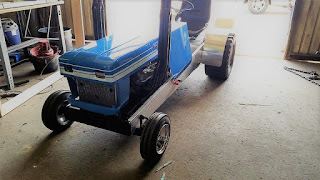 Shocking reports that will surely excite the Blue Oval fans, are the spy photo release of a Ford powered entry, looking to debut in the upcoming season ! The Longhorn Pulling Team based in Bonham, Texas, will unload a small block Ford powered tractor to battle the Super Rod Class tractors this season. The Longhorn Express Pulling Team will campaign a Ford powered Super Rod tractor in 2017. 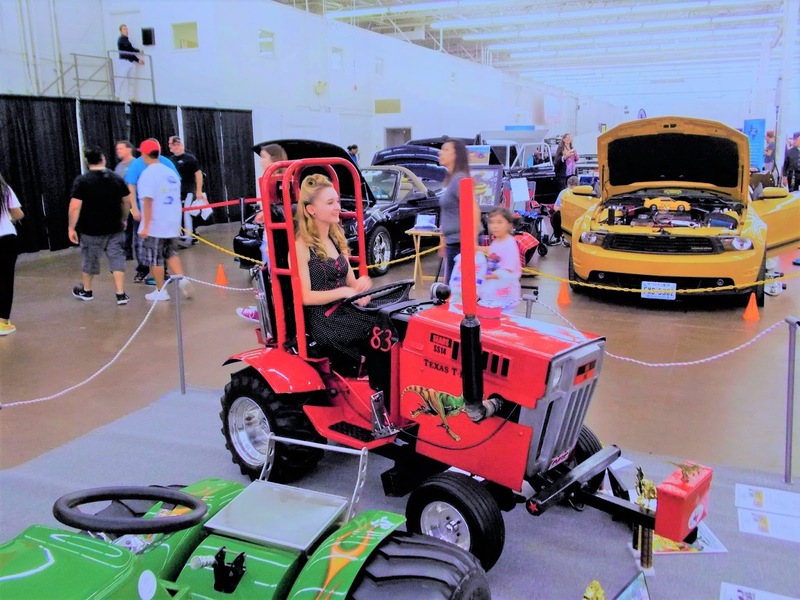 The tractor is reported to be powered by a 289 cubic inch Ford, spinning a Ford rearend through a Powerglide transmission. Blue oval fans will have a tractor to cheer for in 2017, with the debut of a Ford powered tractor in LSGTPA Super Rod Class. Two new tractors from neighbors to the north, are looking to make pulling debuts on the Texas tracks this season. The Mean Green Pulling Team camp will bring their 'Bad Idea' John Deere tractor out of the stable an into competition this season. 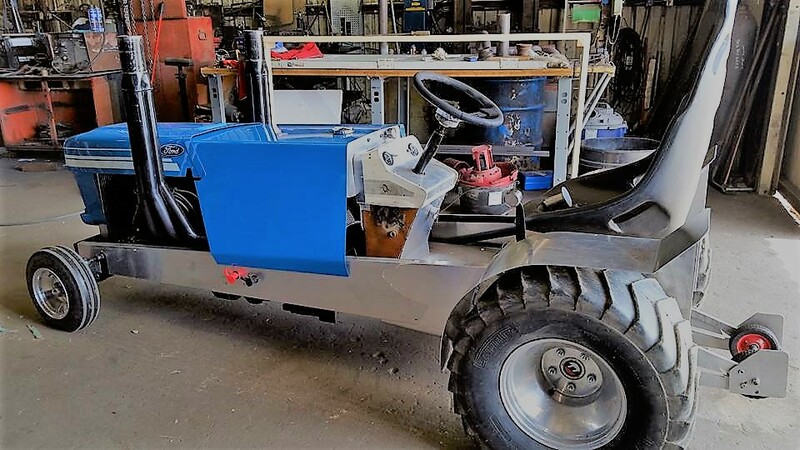 The turbocharged and water injected diesel is a high horsepower three-cylinder powered tractor, and will be piloted by Steve Hovind. 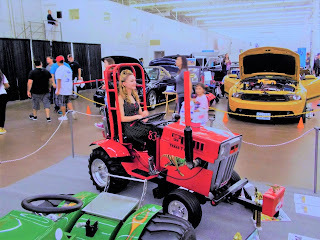 Dragon Lady Sue tries out the interior of the 'Bad Idea' tractor, during the Dallas Autorama. 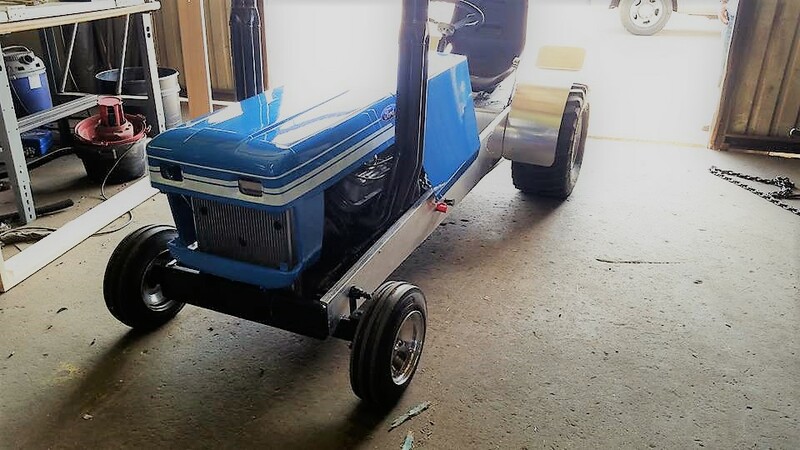 Steve and Madison Bowerman look to debut a new to Texas pulling tractor, with the arrival of the 'Instigator' machine to the LSGTPA. The machine will most likely compete in the Hot Stock Class, which has recently seen a rules adjustment, that will allow for increases in performance for the competitors. 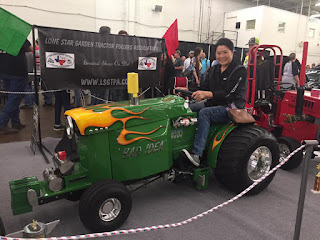 The 'Instigator' tractor will make its debut in Texas, during LSGTPA Hot Stock competition in 2017. Sporting a new look in 2017, will be the 'Texas T-Rex' tractor of Lane Duncan and the Duncan Motorsports team. The team elected to replace the roll cage with a roll bar on the Suburban chassis, to provide some extra room for a growing driver. The recognizable roll cage has been a feature on the 'Texas T-Rex' since its construction in 2009. 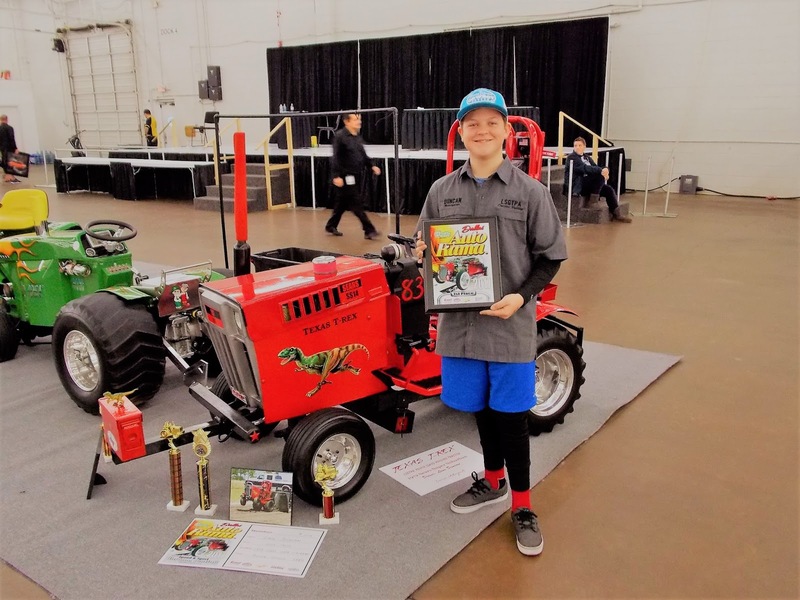 Lane plans to again pilot two tractors in the LSGTPA Youth Class. 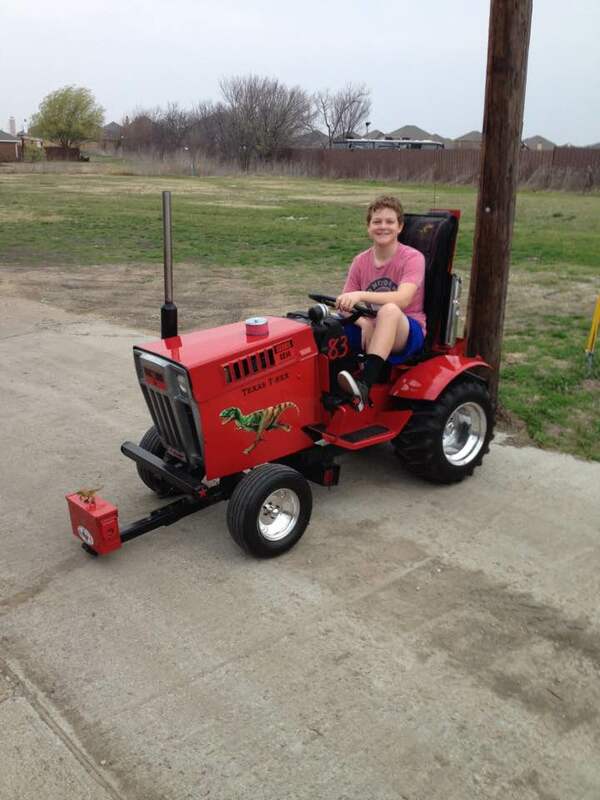 Lane Duncan's 'Texas T-Rex' tractor will be sporting a new look in 2017, with chassis changes for a growing driver in the LSGTPA Youth Class. 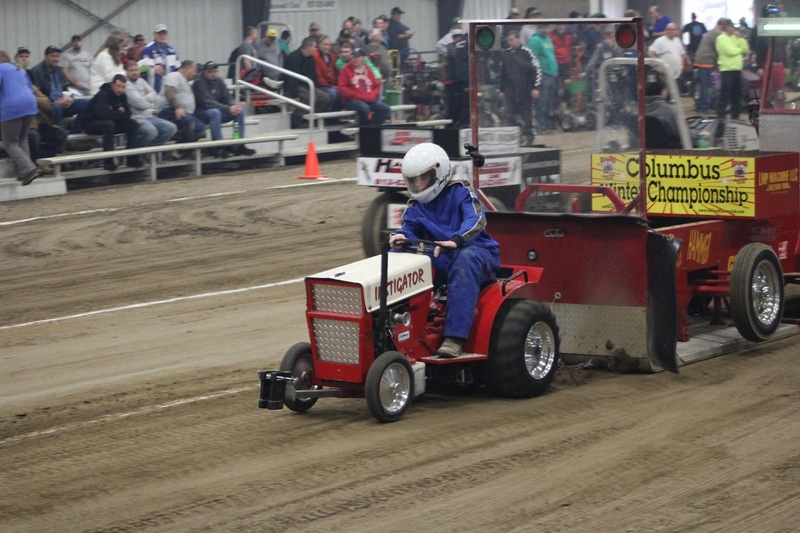 The Lone Star Garden Tractor Pullers Association announced the 2017 championship series schedule, during the 57th Annual O'Reilly Auto Parts Dallas AutoRama at Dallas Market Hall. 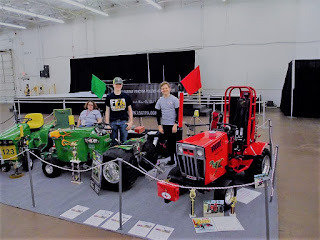 Tractors were on display at the event, with season schedules available for the motorsports fans. Record attendance numbers are expected to approach 50,000 guests for the three day event. The Duncan Motorsports team with Lane Duncan and his 'Texas T-Rex', along with the Mean Green Pulling Team and driver Aidan Hovind, were in attendance to visit with fans and guests during the Dallas Autorama. 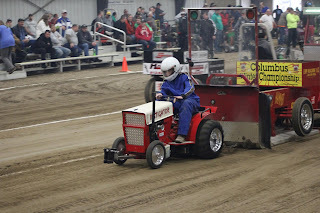 Several fans were allowed to try out the seats on the tractors, and get a feel for piloting the machines.